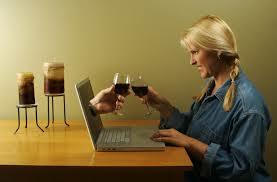 The top 20 wine bloggers have a combined audience that is larger than Wine Spectator online. More than 700,000 people view wine-related videos each month. Wineries are the third most popular subject on Pinterest. Not if you’re interested in the ways that wine and tech intersect, such as social communities like Delectable (a wine journaling app that’s chronicled some 3 million wines), Drync (a wine discovery app with 150,000 monthly active users), and HelloVino (a wine recommendation app with an installed base of 1.7 million users). Additionally, Silicon Valley Bank, in their State of the Wine Industry presentation in January of this year, reported that an average of 1.5 million organic conversations about wine happen every day across all social media channels, and 450,000 new people talk about wine on social media every month. It adds up to an enormous audience with massive potential. Here’s the catch: over 80% of those mentions go unanswered by wine brands. For most wine brands, that’s an equally massive fail. But those brands who do tap into the bandwidth of tech’s tools, data sets, and platforms – who meet their customers where they are online – are capitalizing on customer engagement, loyalty and, yes, sales. Here are three things they’re doing right.